Insensitivity of State Bank of India kills a poor student - SBI harasses education loan borrowers through private agencies..! When the undersigned met you at Delhi on 11th July 2016, I explained to you the problems faced by the poor students while and after availing the education loan. I also explained to you as to how State Bank of India (SBI) is handling the Education loan borrowers in a highly high handed manner. 1. State Bank of India does not allow the eligible youngsters to participate in the recrutiment process, if they have defaulted education loan. When the students are suffering from unemployment, such insensitive and anti national and anti poor policy of SBI works against the interest of the nation. 2. State Bank of India does not provide repayment schedule of 15 years as per the scheme. They create NPAs artificially and then sell to Reliance Company (Asset Reconstruction Company). Reliance harasses the students, even when the students are eligible for better repayment schedule from the bank.. In another instance at the same place Madurai, one of the physically challenged student (hearing and speech impaired) and son of an auto driver was threatened by Reliance. Interestingly, State Bank of India, has handed over his loan account even before he completed his studies. The student is not able to get the next instalment of loan, since the account was closed and transferreed to Reliance. 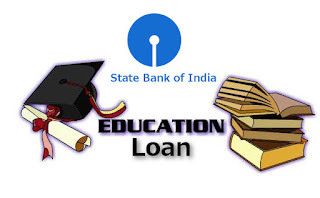 Education Loan Task Force (ELTF) receives numberous complaints of insensitive attitude of SBI. This would not have been possible, without the permission of the Chairperson. The pdf file of The Hindu report dated 12th July 2016 is attached. so that the Bank does not kill poor students in future. ELTF suggests suitable disciplinary action be initiated against the erring officials, including Regional Manager and even the Bank Chairperson who has issued such insensitive, anti-poor and anti-national orders.